That´s what I was aiming for! well that is a bit icky. 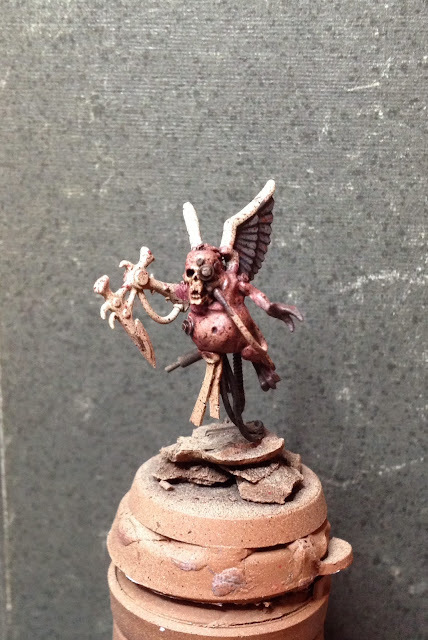 I like that you are moving it further away from the plaguebearer/nurgling look. I'll tone that down somewhat - he'll probably be more greyish in the end.